directly from Google Drive. 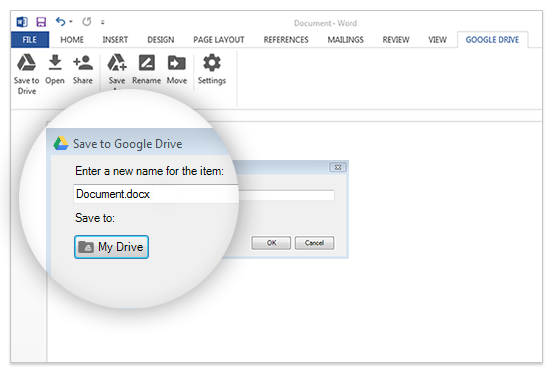 And today we’re taking it a step further by bringing Google Drive to Microsoft Office. Using the new Google Drive plug-in, people using Office for Windows can now open their Word, Excel and PowerPoint documents stored in Drive, then save any changes back to Drive once they’re done.